Planning a kids party for the first time? Are you planning a kids party for the first time? The basics you need to know! 1. Decide how much you want to spend and try and stick to it! 2. Set a suitable date and time for the party. If your child is in school then weekends work best, especially Saturdays. You can be more flexible with the little ones. It doesn’t matter if the party is not on their actual birthday. If you are planning to have an entertainer, or book a party venue then you will probably have to work around suitable dates. It’s a good idea to start planning your child’s party about 4-6 weeks in advance to allow plenty of time for on-line shopping and any cake orders. Good times to have the party are… 11am to 1pm or 3.30pm to 5.30pm. Ideal for little ones too, as it works around nap times and parents then don’t have to worry about giving their kids lunch or supper as they would hopefully have eaten enough at the party! Two hours for the party is sufficient enough, otherwise kids tend to lose interest and parents get stressed out! Most party entertainers also charge for two hours. 3. Who to invite? This really depends on how big you want your party to be and what your limits are. It can be tricky not to invite all the children in your child’s class at school, especially when all the parents know each other! However, you shouldn’t feel compelled to invite every child in the class if you feel you cannot cope with so many kids. Quality of the party is more important than numbers! 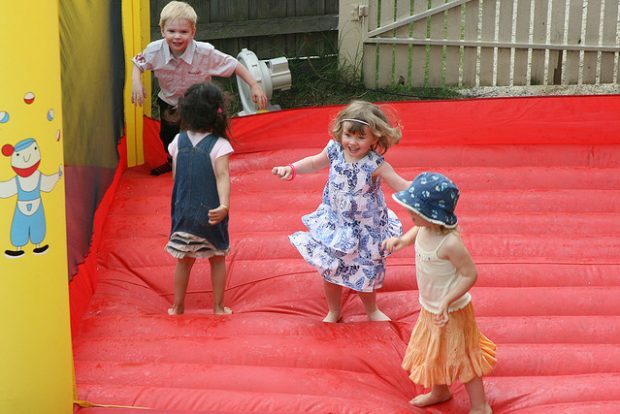 Your party will be more successful if you invited your child’s closest friends, this way you know they will get on well and have much more fun! A good number of kids to have at a party is between 8-16. (Most party tableware come in packs of 8!) It’s not mandatory that you invite the siblings of your child’s friends, or even parents (unless children are very young). Most parents enjoy the break from their kids and you won’t feel so much pressure to entertain adults. 4. Pick a party theme. Involve your child as much as possible in this, and once you have decided this, the fun of shopping for your kids party supplies can begin! But before you actually purchase the tableware supplies, it is useful to know how many children will be attending the party, as you don’t want to order too much or too little. 5. Send out your Invitations. It is best to give out your party invitations as soon as possible, 3 to 4 weeks in advance is recommended. Any earlier than this, the guests may end up losing their invitations or may even forget to reply! It does look better to choose an invitation card that fits into the party theme. Ensure that you request an RSVP and don’t forget to include your name, contact number/email on the invitation. If you don’t get a reply after 5 days, do remind them as some parents are just too busy! Razia Smith is a mum of 2 children who has recently decided to set up her own online kids party shop, where busy parents and carers can simply buy everything they need for their children’s parties in just a few clicks. Planning a kids party for the first time? The basics you need to know!